Ms. Callaway worked as the Associate Director for the Project on Death in America at the Open Society Foundation (OSF) in New York from 1994 to 2003, and as Director of the International Palliative Care Initiative from 1998 to 2014 when she retired. 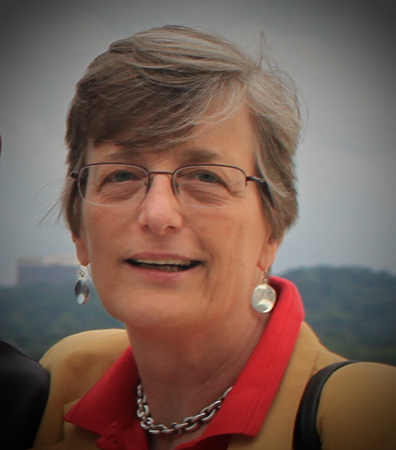 Before joining OSF, Ms. Callaway was the Administrator for the Pain and Palliative Care Service at Memorial Sloan-Kettering Cancer Center in New York City for 16 years, and served as the Executive Director for the World Health Organization’s Collaborating Center for Cancer Pain Research and Education. Ms. Callaway is currently an international palliative care consultant. She has extensive international palliative care experience and expertise in the areas of health policy, education and training, drug policy, advocacy, organizational development and program evaluation. She has worked nationally, regionally and internationally with on the ground experience in Central and Eastern Europe, the former Soviet Union, Southeast Asia, South Africa, Southern Africa and East Africa. She has developed educational programs for healthcare professionals and has taught around the world at national and regional conferences. In 2015, Ms. Callaway’s international contribution to palliative care development was recognized with the American Academy of Hospice and Palliative Medicine’s Presidential Citation. She is a founding member of the United States Cancer Pain Relief Committee, a non-governmental organization supporting access to pain medications issues. She is also on the Advisory Board of the European Palliative Care Academy, which is supported by the Bosch Foundation in Germany. As a former member of the African Palliative Care Association’s pain management working group she was involved in planning and implementing three regional drug advocacy workshops to increase opioid availability. Ms. Callaway also served for six years on the grants committee of the Virginia Gildersleeve Foundation, a foundation dedicated to the advancement of women and girls. Ms. Callaway joined the IAHPC Board of Directors in 2015. She is currently leading the IAHPC Palliative Care Certification project and will lead the IAHPC Palliative Care Accreditation project in the near future. Having supported many research activities in the past, Ms. Callaway is interested in being involved in palliative care research that would influence the development and implementation of palliative care in developing countries. Away from palliative care, Ms. Callaway enjoys spending time with family and friends, playing golf, gardening, reading, listening to music and training her two small dogs.